The Ranmin Bellair Bungalow is home to five spacious rooms with surround windows that open out to the garden and the verdant mountains beyond. 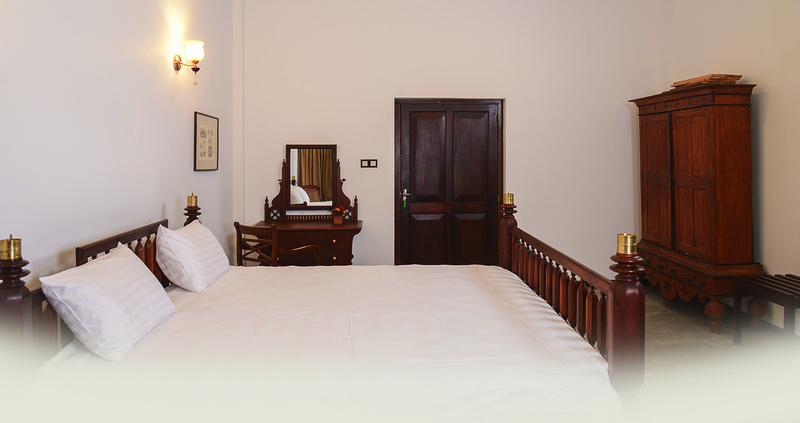 Dressed in white and tinges of gold, and furnished with four poster beds and other teak fittings, the rooms are truly fit to accommodate royalty. Plush mattresses topped with soft pillows and cozy coverlets ensure guests slip away into an otherworldly reverie. 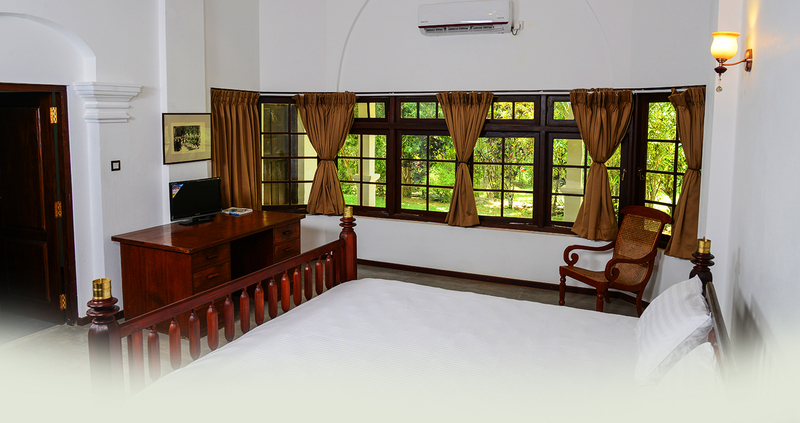 All rooms are air conditioned, include an antique dressing table, wardrobe, chest of drawers and working desk to sit at and pen beautiful thoughts away. The rooms have their own attached bathrooms with hot water, and even a powder room or dressing room secluded away from the main sleeping area. 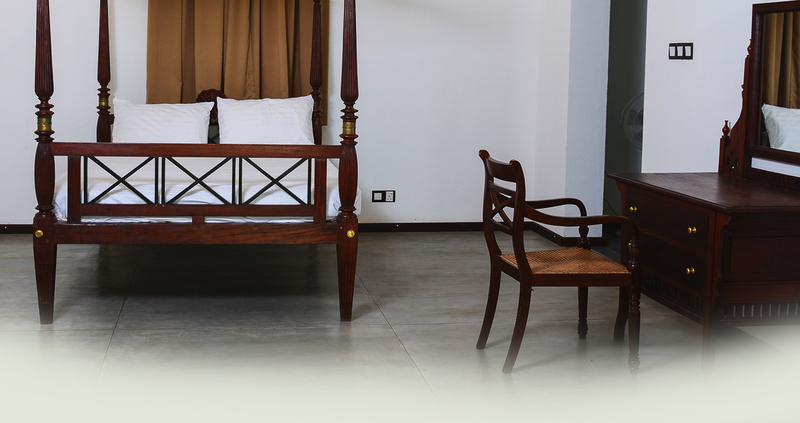 While two of the rooms offer triple accommodation, three are double rooms. All rooms are strategically placed away from each other so as to afford minimal privacy that would be appreciated.